Gauge Theory and Low Dimensional Topology: With the introduction of Seiberg-Witten theory in the mid 1990s the study of the instanton moduli spaces in dimensions 3 and 4 took a secondary role. Nevertheless, these moduli spaces have a rich geometric structure that has not been fully explored. One focus of the workshop will be the Witten Conjecture relating Instanton theory and Seiberg-Witten theory in dimension 4, where there are fundamental gaps in the mathematical understanding. Another focus will be the relation between Instanton-Floer and Seiberg-Witten Floer theories dimension 3, and their connections with symplectic Floer theories [for example the Atiyah-Floer Conjecture] and Khovanov homology. 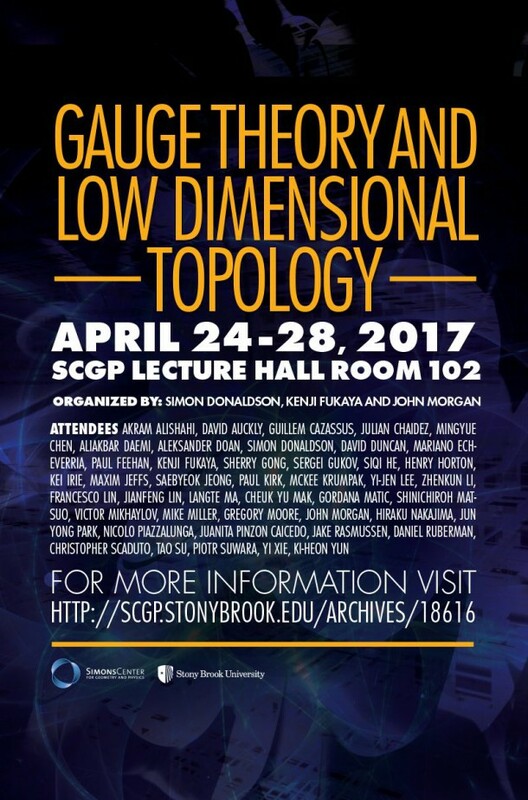 Also, recent new applications and possible future applications of these theories to topological and geometric problems will be discussed.